But with a pair of glasses or contacts, my vision can be corrected to 20/20, which according to the FAA regulations contained in CFR 14, Part 67, means I can obtain a first, second, or third class medical certificate, earn a pilot’s license, and pursue a career in or fulfill a passion for aviation. And the only restriction is that I need to be wearing corrective lenses while flying. Which isn’t much of a problem as restrictions go, as I need to wear corrective lenses to do just about anything. So, if you suffer from any form of color-blindness, is that it? Are your dreams of flying grounded? 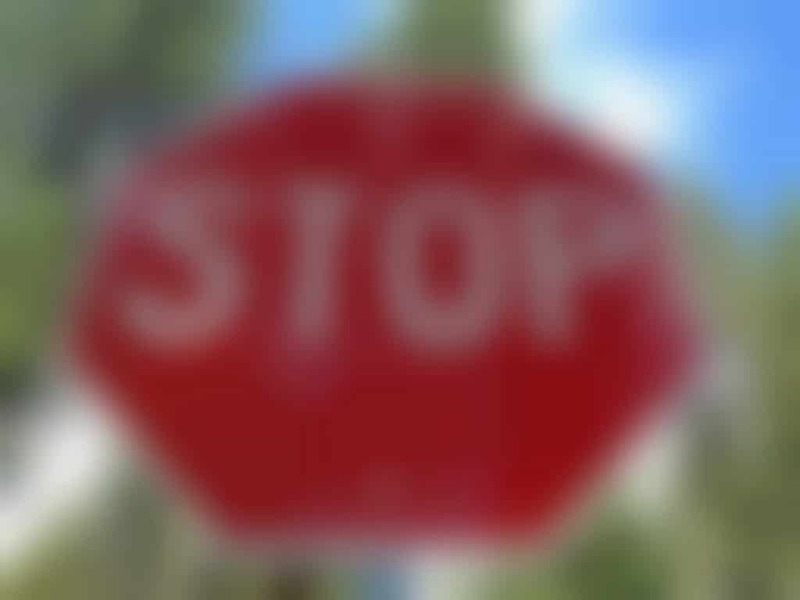 The answer is a most definite ‘No!’ We’ll get into the specifics of flying with color-blindness, but to really understand the issue, let’s first take a look at what exactly it means to be ‘color blind’. The retina, the area of the eye responsible for receiving images from the lens and converting them to an electronic signal for transmission to the brain, is filled with specialized photoreceptor cells called cones and rods. Millions of them. There are roughly 6 million cone cells and 125 million rod cells, to be more precise. So why does the retina need all these specialized cells? Well, the cone cells, located in the center of the retina, come in three varieties: those containing blue sensitive pigment (roughly 2% of the cells), those containing green sensitive pigment (33%), and those containing red sensitive pigment (65%) and primarily help with the perception of color and fine detail. The rods, located around the outer edges of the retina and over 1000 times more sensitive than the cones, are responsible for night vision, perceiving brightness, and distinguishing shapes. A person who has healthy ‘trichromatic’ vision, with all of the cone cells functioning normally, can identify over 7 million different colors. (What’s the Crayola? Your ultimate collection has 152 colors? WEAK!) Now, in North America*, 8% of the male population, and 0.5%** of the female population have cone cells of one color type that are either malfunctioning (known as anomalous trichromatism), which causes small shifts in color perception; cone cells of one color type that are non-functioning (known as dichromatism), causing large shifts in color perception; or only one type of functioning cone cell (known as monochromatism), which causes the total inability to distinguish color. People afflicted with anomalous trichromatism and dichromatism are classified as having a ‘color vision deficiency’, as they can still distinguish color to one degree or another, and are therefore not actually color blind. The term ‘color blind’ only truly applies to those suffering from monochromatism. 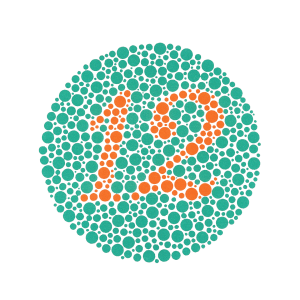 OK, so to quickly recap, the majority of people with ‘color blindness’ actually suffer from a color deficiency, and can still distinguish between most colors to a fairly effective degree. So, back to the question at hand: how does this affect one’s ability to earn a pilot’s license? If you’re planning a career in aviation, or even just going for a private pilot’s license, this restriction can have a very limiting effect. So if you are preparing for your medical, and either know or suspect you have a color vision deficiency, don’t go to the AME just yet. Instead, find an optometrist or ophthalmologist who can evaluate your color vision using pseudoisochromatic, or ‘almost same color’, test plates or through administering an FAA-Approved alternative test. In regards to the use of test plates, try to find an optometrist or ophthalmologist who uses Dvorine or AOC test plates, rather than Ishihara test plates. 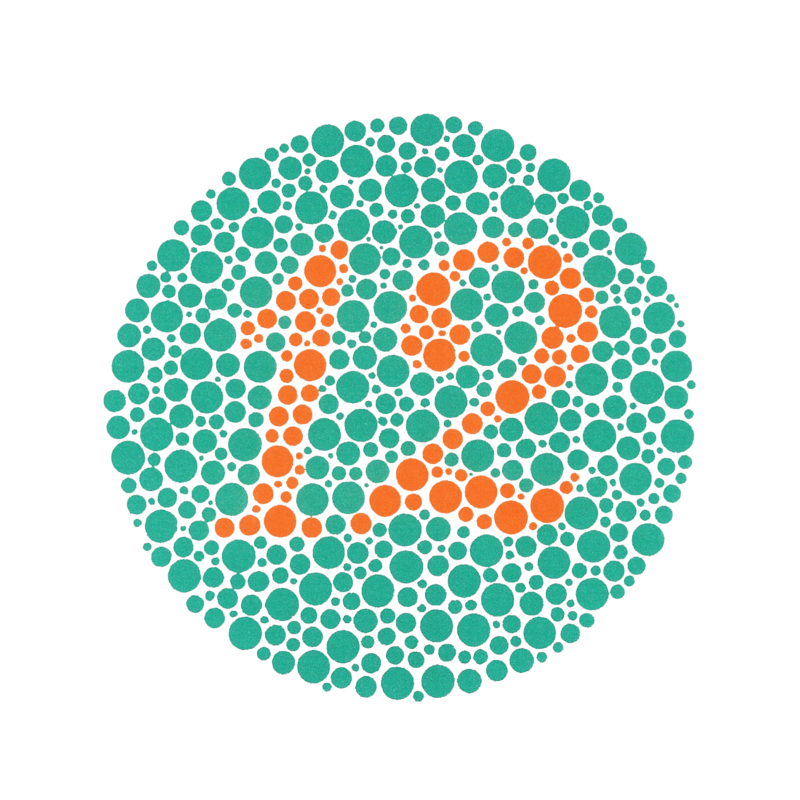 Although the Ishihara test plates are more common, it has been reported that people with color vision deficiencies have an easier time passing color vision tests using the Dvorine or AOC test plates. AOC (1965 edition) pseudoisochromatic plates Seven or more errors on plates 1-15. Dvorine pseudoisochromatic plates (second edition, 15 plates) Seven or more errors on plates 1-15. Ishihara pseudoisochromatic plates: 24-plate edition Seven or more errors on plates 1-15. Ishihara pseudoisochromatic plates: 38-plate edition Nine or more errors on plates 1-21. Richmond (1983 edition) pseudoisochromatic plates Seven or more errors on plates 1-15. OPTEC 900 Vision tester and Farnsworth Lantern Average of more than 1 error per series of 9 color pairs in series 2 and 3. NOTE: No other color blindness tests are allowed. The FAA has not approved Yarn tests, and as of December of 2009, the FAA no longer approves of the APT-5 color vision test due to the manufacturers discontinuing of the product. The FAA also does not approve the use of color correcting lenses such as Chrom-X. If you successfully complete one of these plate tests or alternate tests, the FAA will consider you as having acceptable color vision. Have your eye care specialist provide you with a letter that states the type of color vision test you took and your passing results. Provide this letter to your AME at the time of your FAA exam, and the AME will no longer need to run their own color vision test. Keep in mind that you will need to take a color vision test each time you re-apply for a medical certificate. It is recommended that you take the same test that you previously passed each time you re-apply. If you already have the above mentioned restriction already in place, and you are seeking to have it lifted from your medical certificate, go through the above process and pass one of the above listed plate tests or alternate tests. Then, as above, provide a letter that states the type of color vision test you took, and your passing results to your AME at the time of re-application, and they may then issue a new certificate without the restriction. Now, if you are unable to pass one of the plate tests or alternate tests listed above, which is the recommended route, you still have one option left to lift the restriction from your medical certificate, or avoid having it added: you can take a specialized operation medical test with an FAA aviation safety inspector through your local Flight Standards District Office (FSDO). The test comes in two parts: an Operational Color Vision Test (OCVT) and the Medical Flight Test (MFT). If you are seeking a third class medical certificate without the restriction, you will only need to pass the OCVT. But if you are seeking a second or first class medical certificate without the restriction, you’ll need to pass both the OCVT and the MFT. – A signal light test administered at an airport air traffic control tower. – A practical test in which you are required to read and correctly identify colors on aeronautical charts. Upon passing the OCVT portion of the test, if you are seeking only a third class medical certificate, the aviation safety inspector will issue you a 3rd Class Letter of Evidence (LOE) good for lifting the restriction from your medical certificate. If you are going for a second or first class medical certificate, you will next need to take and pass the MFT. If you fail the signal light part of the OCVT test during daylight hours, you will be able to retake the test at night, and if you pass the nighttime test, you will be given a medical restriction that reads ‘Not valid for flights requiring color signal control during daylight hours.‘ If you also fail the test at night, the restriction will be ‘Not valid for night flying or by color signal control.‘ It is also important to note that if you fail the daytime signal test, you will not be eligible to further test for either a second or first class medical certificate, you will not be issued a Letter of Evidence, and you will not be able to have the restriction modified or removed. – In a timely manner, you must read and correctly interpret aviation instruments or displays, in particular those with colored limitation marks; as well as colored instrument panel lights, such as marker beacon lights, warning or caution lights, and weather displays. – In a timely manner, you must be able to recognize terrain and obstructions; select several emergency landing areas, preferably under marginal conditions, and be able to describe in detail the surface, such as what it is composed of (sod, stubble, plowed field, hard packed dirt, etc.) and if there is any pitch or roll to the terrain; identify and obstructions such as ditches, fences, low spots, rocks, stumps, and in particular, and gray, tan or brown objects in green fields; and be able to describe your process for determining these conclusions. – In a timely manner, you must visually identify the location, color, and significance of aeronautical lights. In order to minimize the effect of memorizing the color of lights associated with particular light systems, the aviation safety inspector usually makes strong efforts to avoid using the name of the light system during the flight, and will instead ask you to identify and provide the significance of as many of the following lights as possible: colored lights of any other aircraft in the vicinity; runway approach lights, including both the approach light system (ALS) and visual glideslope indicators; runway edge lights; runway end identifier lights; on runway light systems such as centerline lights, touchdown zone lights, taxiway lead-off lights, and land and hold short lights; taxiway lights such as edge lights, center line lights, clearance bar lights, runway guard lights, and stop bar lights; airport boundary lights; airport beacon lights; and red warning lights such as those found on television towers and high buildings. If you pass the OCVT and the MFT, the aviation safety inspector will then issue you a Letter of Evidence that is valid for lifting the restriction from all medical certificate classes. Pursuing a career or passion in the field of aviation with a color vision deficiency can be complicated, but it is possible. And hopefully, armed with all the knowledge you’re gaining, you’ll be successful in your quest to fly the wide open skies. For those interested, here is a rough breakdown of the form of color-vision deficiencies suffered by those affected. Also included is information regarding what colors present problems for the various types of color deficiencies, and a series of photos simulating how an aircraft instrument panel might look with different color deficiencies. Problematic colors: Green/red, green/blue, green/gray, green/brown, blue/purple, orange/red, yellow/orange. Anomalous Trichromatism affecting green cone cells. Dichromatism affecting green cone cells. Anomalous Trichromatism affecting red cone cells. Dichromatism affecting red cone cells. Anomolous Trichromatism affecting blue cone cells. Dichromatism affecting blue cone cells. * In other countries world wide, the percentage of those suffering from a color vision deficiency can vary from around 5% – 10% for men, and .3% to .5% for women. ** So why are vastly fewer women affected with color vision deficiencies? Because many of the genes involved in color vision are on the X chromosome, and men have only one X chromosome versus women’s two X chromosomes, putting men at greater risk for color vision deficiencies. SOURCES: Research gathered from the FAA, Wikipedia, the American Academy of Ophthalmology, the National Center for Biotechnology Information, AOPA, ColBlindor, Pilot Medical Solutions, and the Color Vision Defective Pilot’s Association. Thank you so much! This has been very helpful.